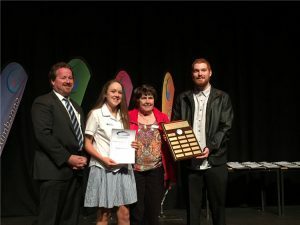 Kris Willis, (Principal Chisholm School), Paige Edwards (Chisholm winner) Glenys Patulny (TCC) and Matthew Torrens (Convenor of the Tuggeranong Youth Sub Committee and Lake Tuggeranong College winner) at Chisholm School presentation. 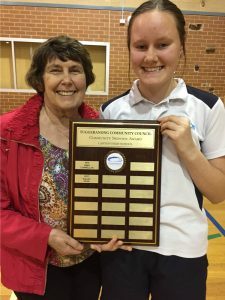 Listed below are the re the winners of the Tuggeranong Community Council School Community Service Awards for 2017. This is a perpetual award that recognises those students who contribute significantly to some area of the local community. 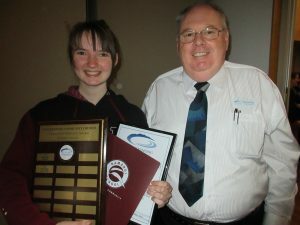 Leah Smith won this award for her support of the Canberra Hospital as part of the Chari-tea organisation. She is an active leader of their annual charity fundraising event for pediatric services. Each year the event welcomes over 150 generous sponsoring businesses. As a member of Chari-tea, Leah has helped raise over $100,000 for the Canberra Hospital. For this effort she won and ACT Order of Australia Medal for her work with volunteering and charity. Paige was awarded this award for her ongoing commitment to sport and promoting sport throughout her schooling years here at Caroline Chisholm School. She is a student who always strives to achieve success not only in the sporting arena but also academically. She is a very active sportswoman outside of school particularly in the Hockey community and if she is not playing at state level then she is volunteering her time coaching and umpiring at local level. 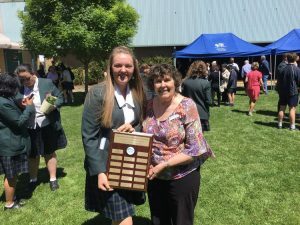 Kaylea won this award for her service to the Lanyon High school and the Canberra Community. 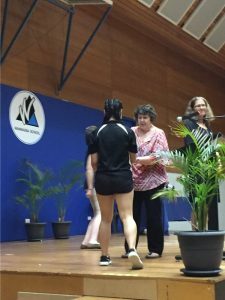 She works tirelessly to support others, whether it be through her work with Lanyon High School Volunteer Group, or as a friend and mentor to others, she goes above and beyond to ensure the wellness of the community. She leads the pack when it comes to her volunteer work, spending countless hours in her own time to complete projects but never letting it affect her academic performance, before long she easily became the unofficial leader of the Volunteer program inspiring others to get on board with the messages of compassion, empathy, generosity and kindness. Natasha has volunteered and worked to support the school and outside community. She has been involved in several public events, ranging from BBQ’s, to organising the collection of food for a community organisation; she has also been involved in several school functions within the Leadership class. Nikita who has won this award for her supporting her peers with their learning by leading group activities. She follows school values and has a strong sense of social justice, is engaged in ‘out of school’ programs to mentor other students using her passion for sport. In fact she goes above and beyond to ensure other students feel included at Wanniassa School. 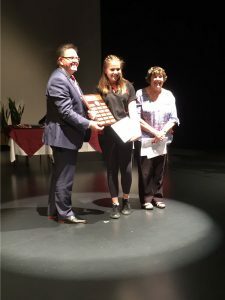 Keisha won this award for her significant work in supporting her fellow students at Trinity Christian school as well as her work in the general community. She is especially known for her work in helping to organise the Trinity Christian School Fete. In his two years at Lake Tuggeranong College, Matthew has embraced the role of serving the community. Matthew has been the student representative at the College Board for 2018 and 2017, where he has provided invaluable leadership in regards to the strategic direction of the college. Matthew has been a key member of the Student Leadership Group at LTC. It is no surprise that Matthew was elected to head up the Youth Sub- Committee of the Tuggeranong Community Council. In his time in that capacity, he has helped organise the TCC Youth Forum, been part of delegations to local members of the Legislative Assembly and stood shoulder-to shoulder- with peers advocating for improved amenities in his community. 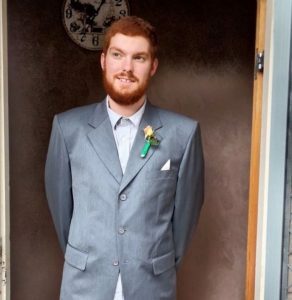 He has also been selected and is now an active member of the ACT Youth Advisory Council.